The European Union Film Festival (EUFF) returns for its 16th year in Malaysia with much to offer to the local scene this time round. Featuring a stellar line-up of 23 award-winning films from 20 European countries, it promises to take its audiences on a stunning cinematic journey through the continent. Since premiering in 2000, the European Union Film Festival (EUFF) has become an annual cultural event highly anticipated by our local film and art enthusiasts. The films will showcase Europe’s diversity, creativity and breath-taking landscapes through the cinematographic talents of the individuals across the 20 participating countries. What is there to expect, you ask? The EUFF Facebook page recently released a sneak peek of the line-up for the festival and Academy Award-winning Ida is spotted, to the excitement of many Pawlikowski fans, in the still-mysterious list. 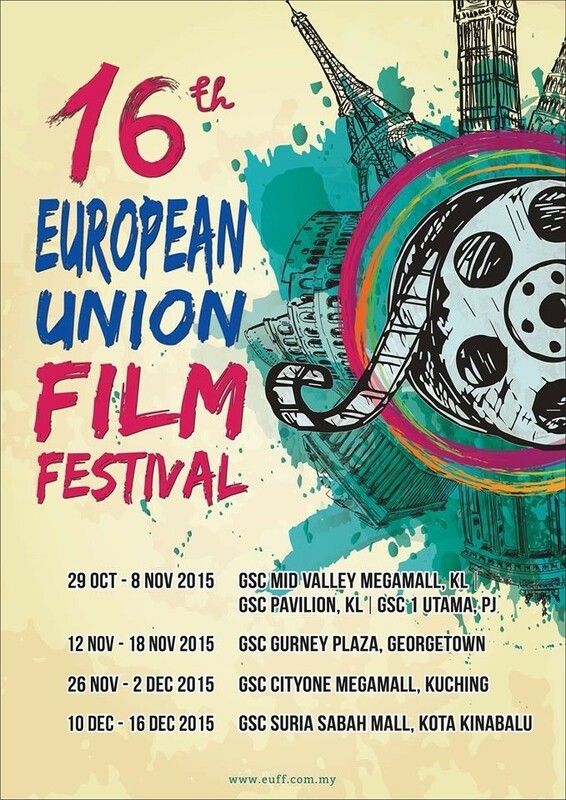 Collaborating with Alliance Française de Kuala Lumpur, the EUFF will take place at 6 major Golden Screen Cinemas in Malaysia: 1Utama, Mid Valley Megamall and Pavillion KL (29 Oct – 8 Nov), Gurney Plaza Penang ( 12 – 18 Nov), CityONE Megamall Kuching (26 Nov – 2 Dec), and Suria Sabah Mall Kota Kinabalu (10 – 16 Dec). Tickets are priced at RM7 each, with several free screenings yet to be announced. This upcoming festival is definitely not one to miss, especially for our local cinematography buffs and film enthusiasts. So, buckle your seat belts because we’re going for one epic ride. For more information, visit their Facebook page at facebook.com/myeuff or www.euff.com.my. Tags: academy awards, arts, cinema, ETC Taylor's Magazine, ETC., ETC. Magazine, etctaylors, Europe, european union, events, film, film buff, film festival, Taylor's University, Taylor's University Lakeside Campus, Taylors, TULC. Bookmark the permalink.